Works well, like the rotation action of the top. The product arrive in time. It was easy to fit and works perfect. I like the product and will recommend to others. 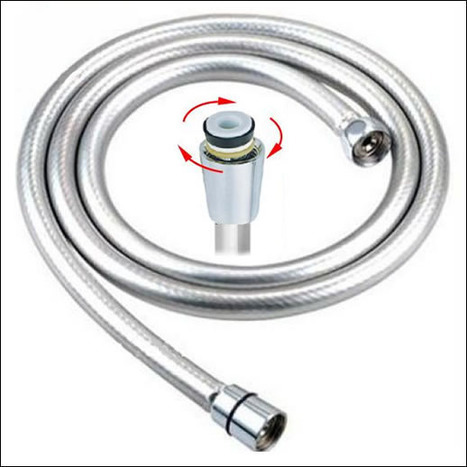 HOS-HP: 1.2M High Pressure PVC shower hose in silver finish with anti tangle universal swivel connection, allowing shower head to swivel on the hose through 360 degrees. 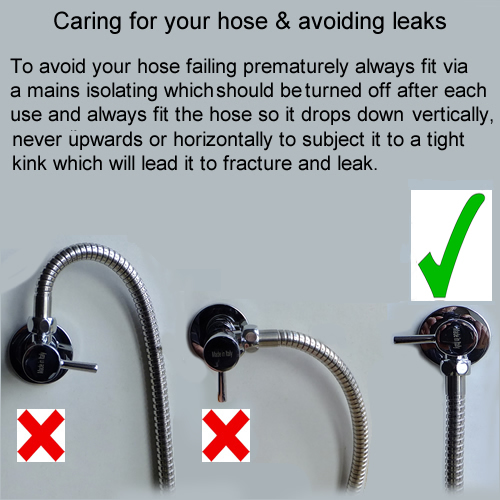 Designed especially for our range of bidet showers, comes with 2 year warranty. HOS-HP: 1.2M High Pressure PVC Hose in silver colour finish. Designed especially for our range of bidet showers. 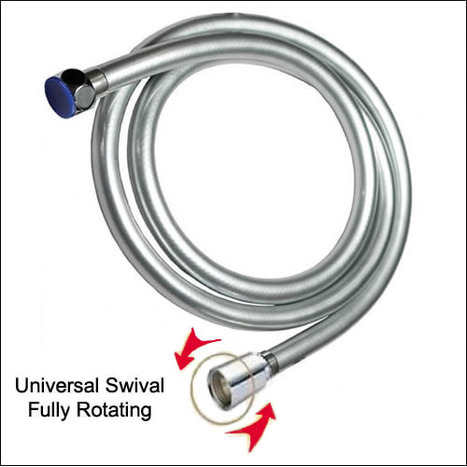 Conical 1/2" BSP connection for the shower head with anti tangle universal swivel connection, allowing shower head to swivel through 360 degrees on the hose and 1/2" BSP nut for the supply. Comes with 2 year limited warranty, not to be used with water pressure in excess of 4bar.